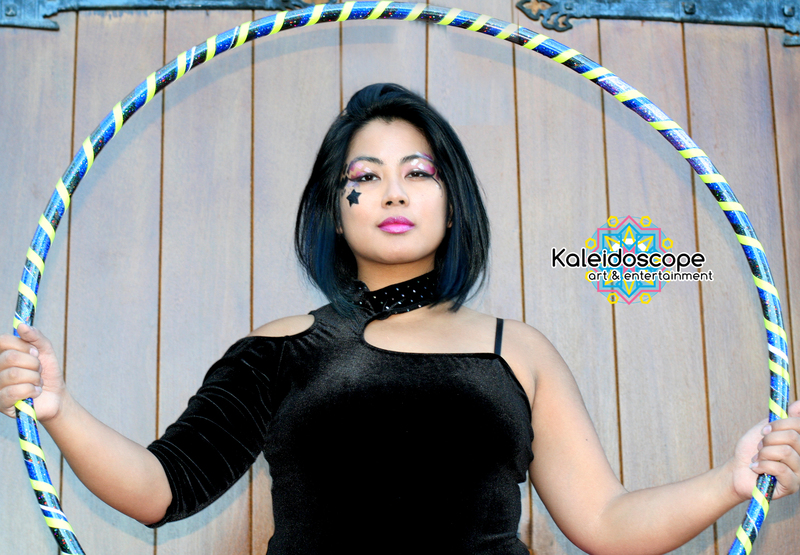 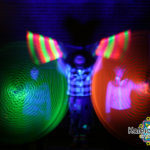 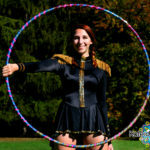 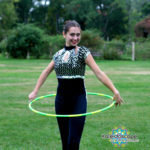 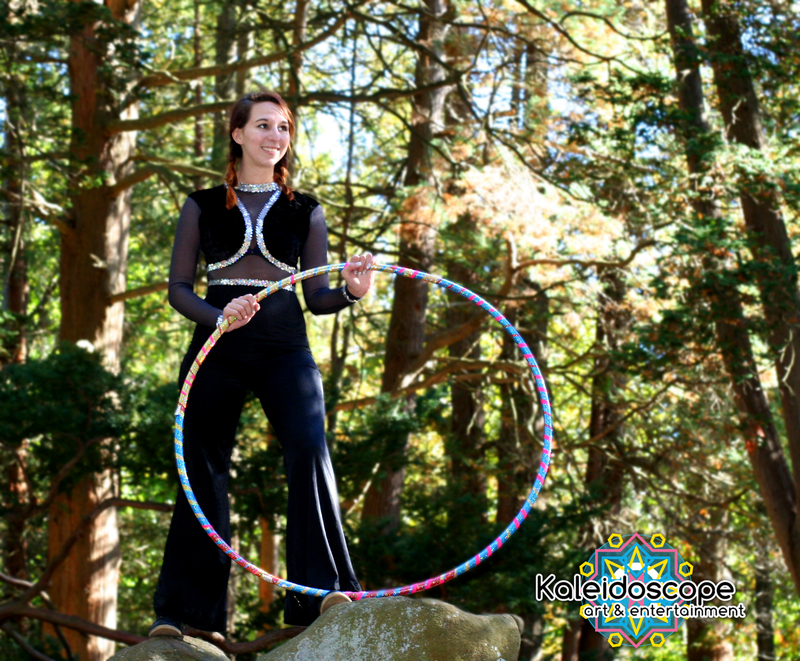 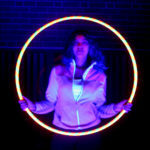 Hoops and flow is a fiery or hypnotic ending and addition to any event or party. 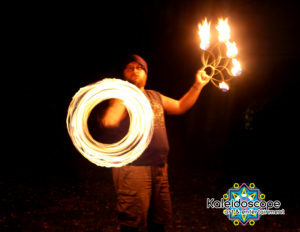 It’s a 15 minutes show of LED, Fire or generic no special effects hooping and Bo staff performance. 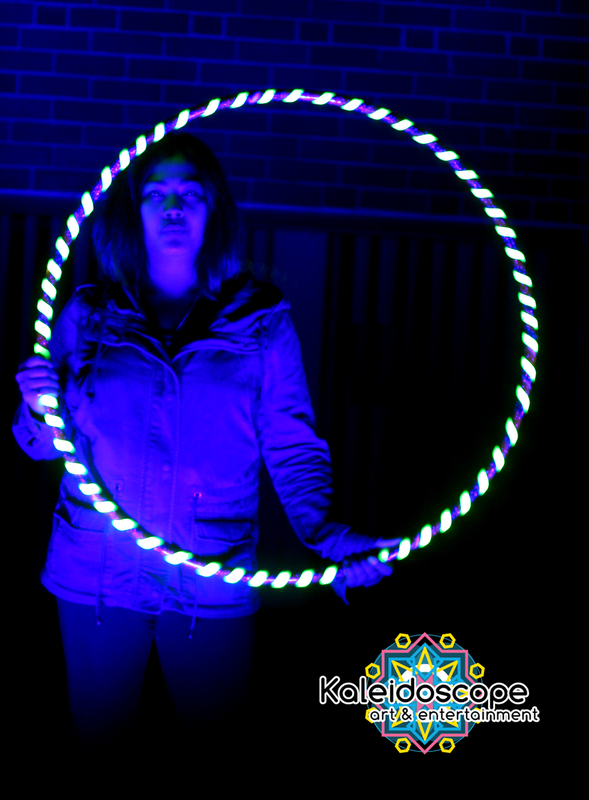 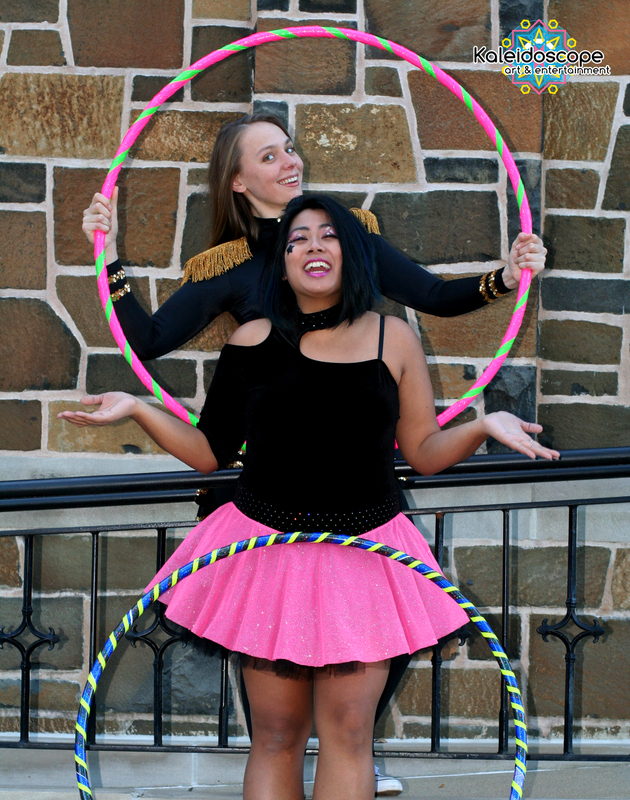 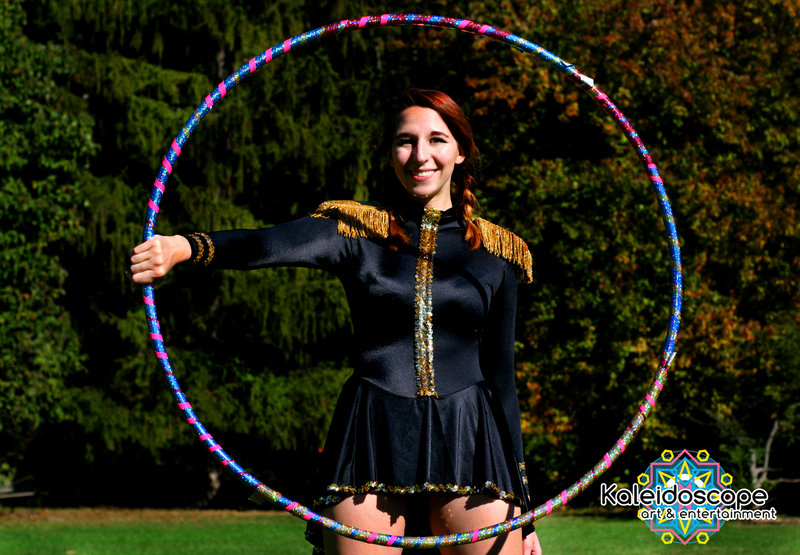 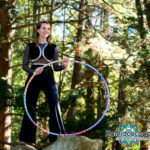 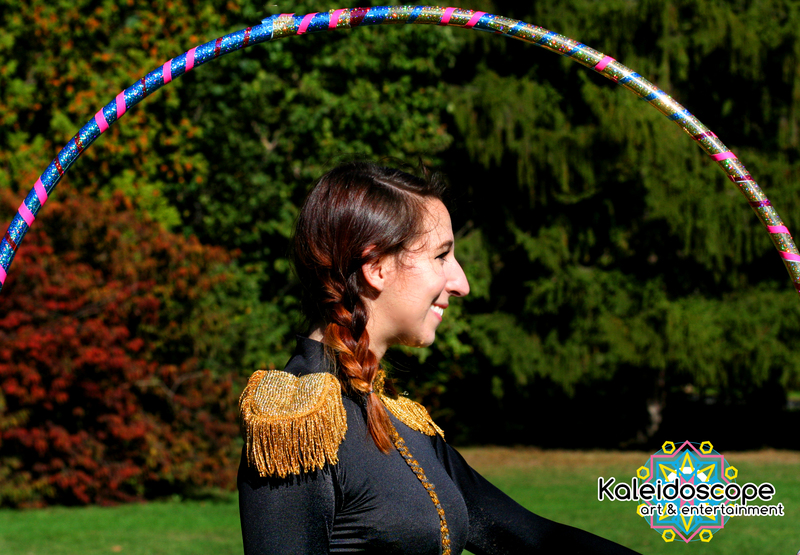 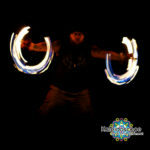 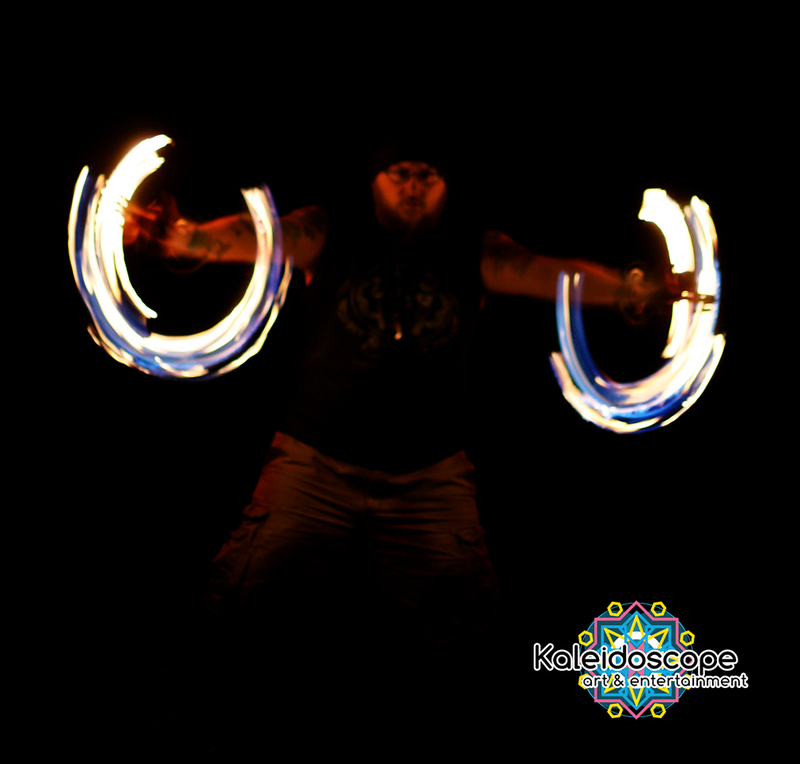 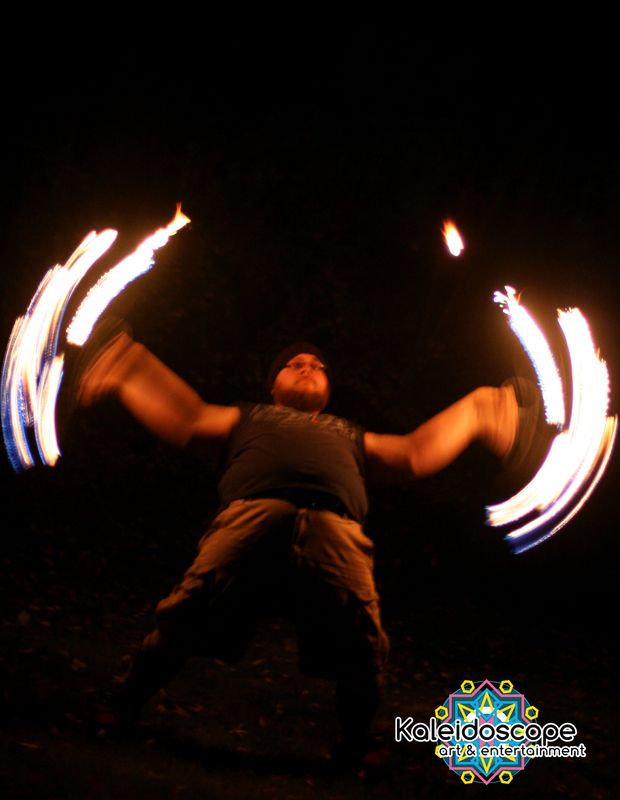 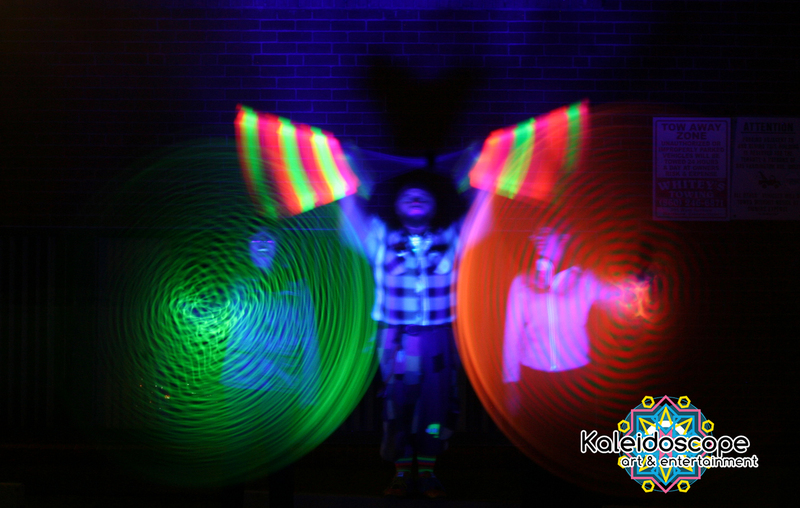 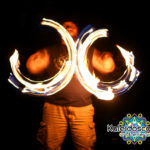 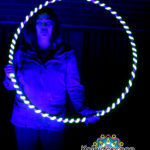 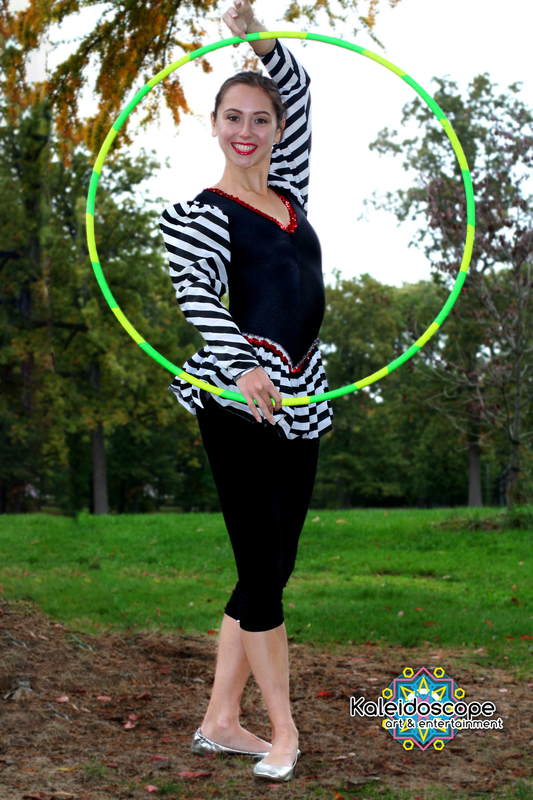 Hoops and flow performances are a combination of hoops, fire fan, fire or LED poi, fire or UV Bo staff and more! 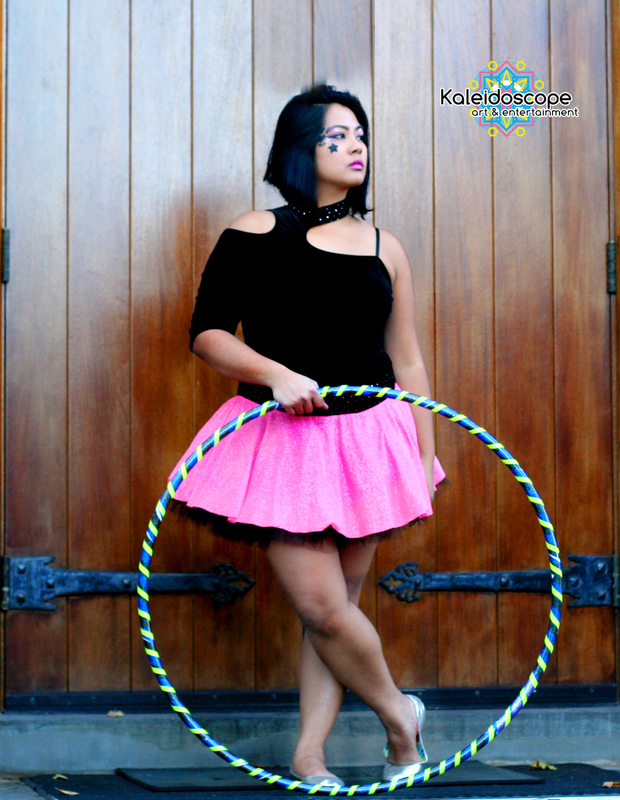 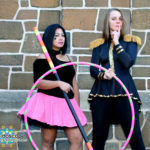 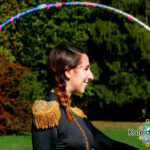 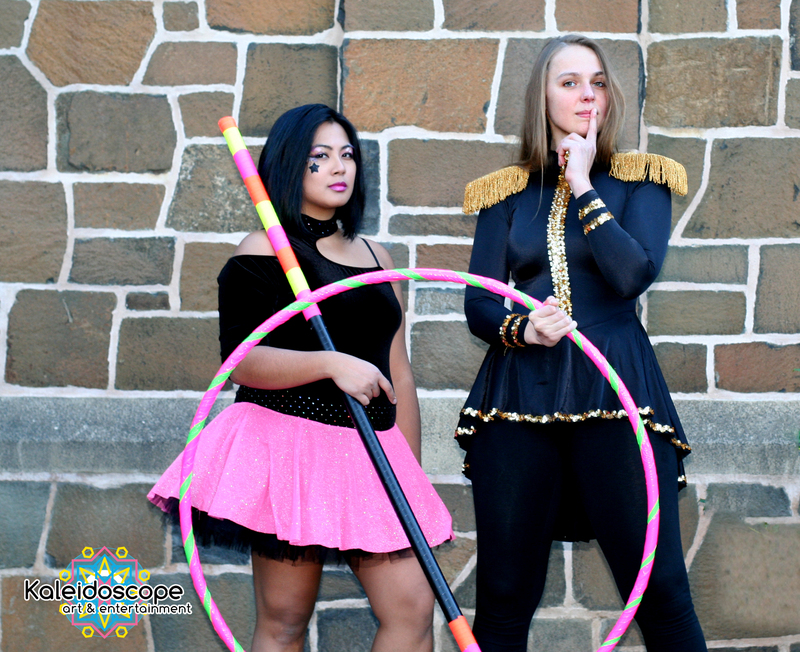 This 15 minutes hoops and flow performance can be added on to 2nd package (balloon twisting, face painting, stilts, clowns, caricatures, etc) for a discount! 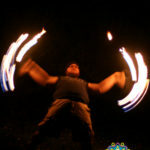 What is included in a Fire Performance? 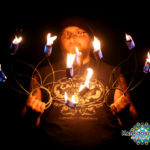 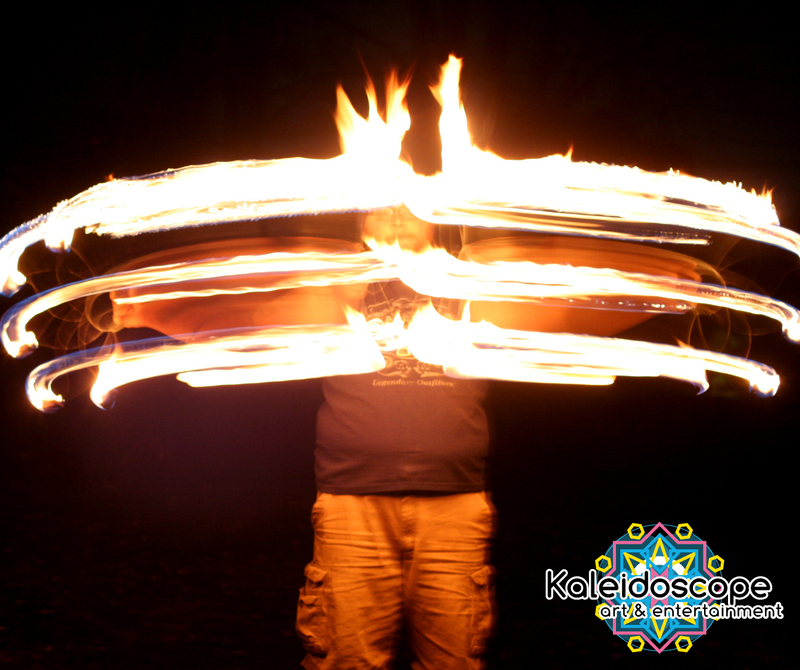 For a 15 minutes fire show your performer will demonstrate a mixture of fire hooping, fire fan, fire poi and bo staff all customized by the fire performer to fit your event needs and what they’re most comfortable with. 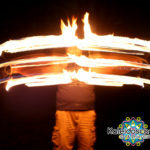 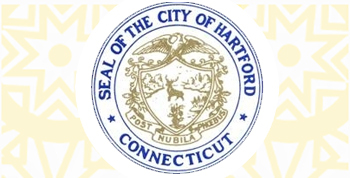 All fire performances must be done outdoors on private property with written permission. 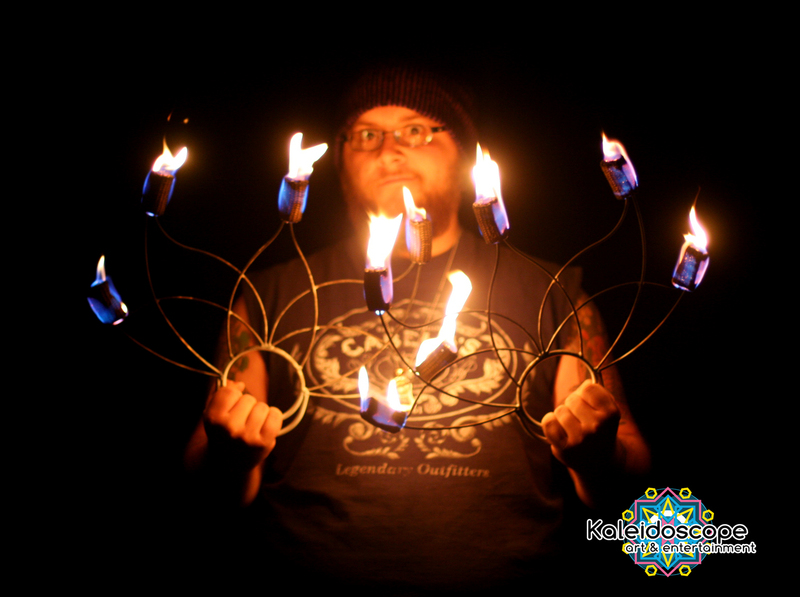 Each performer comes with a fire assistant, fire blanket and extinguisher. 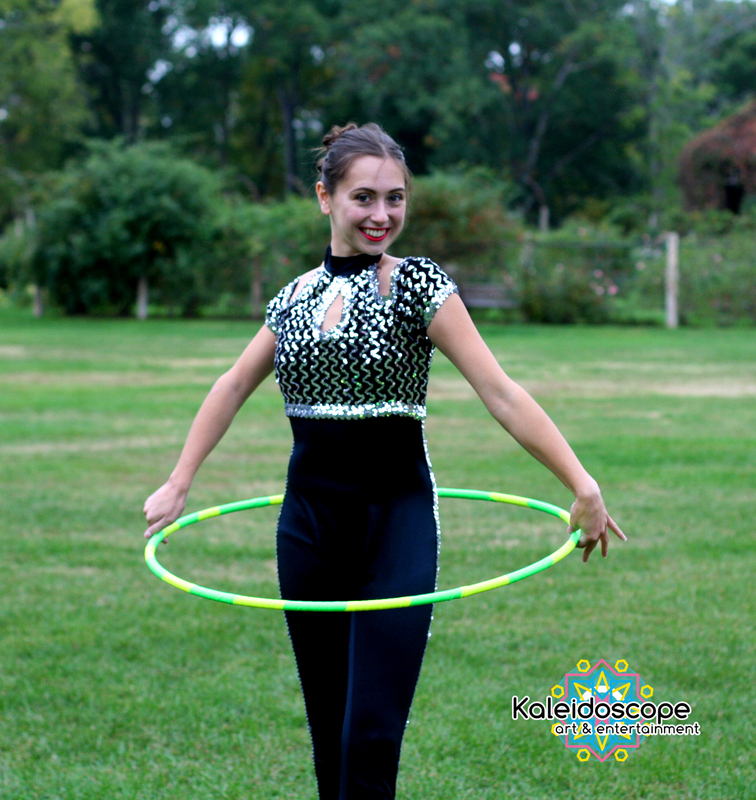 The area of the performance can’t be surrounded by dry leaves and brushes or flammable materials. 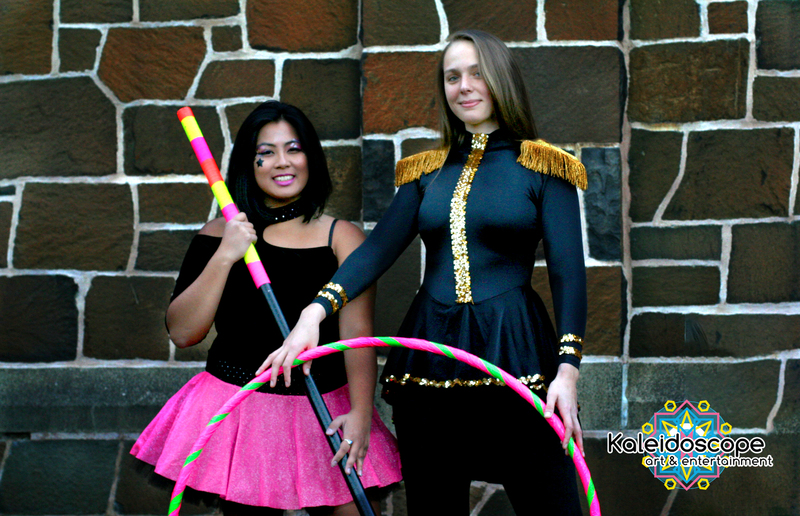 You have your choice of fun colorful costuming for your event or simple black and white/silver formal attire! 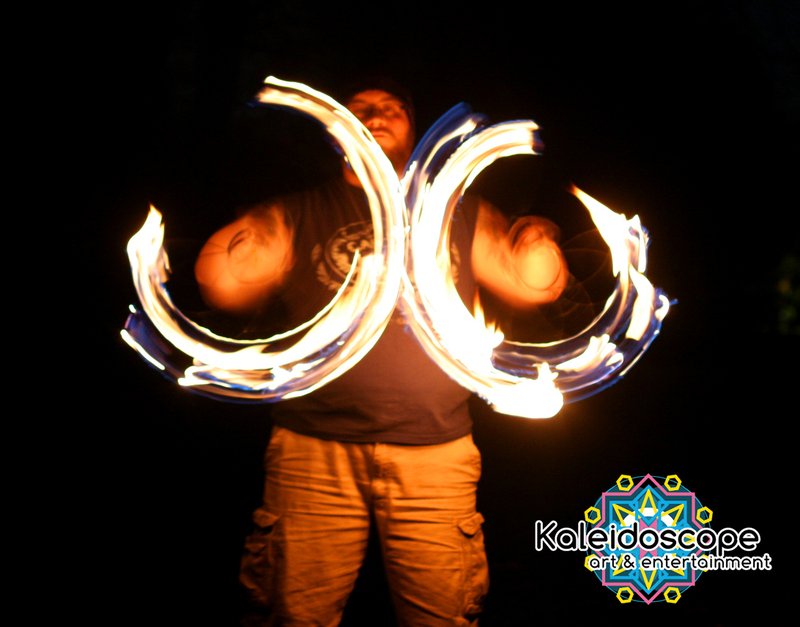 We’re here to make your event as great as it can be! 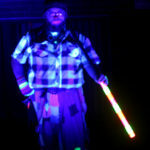 What’s included in an LED Performance? 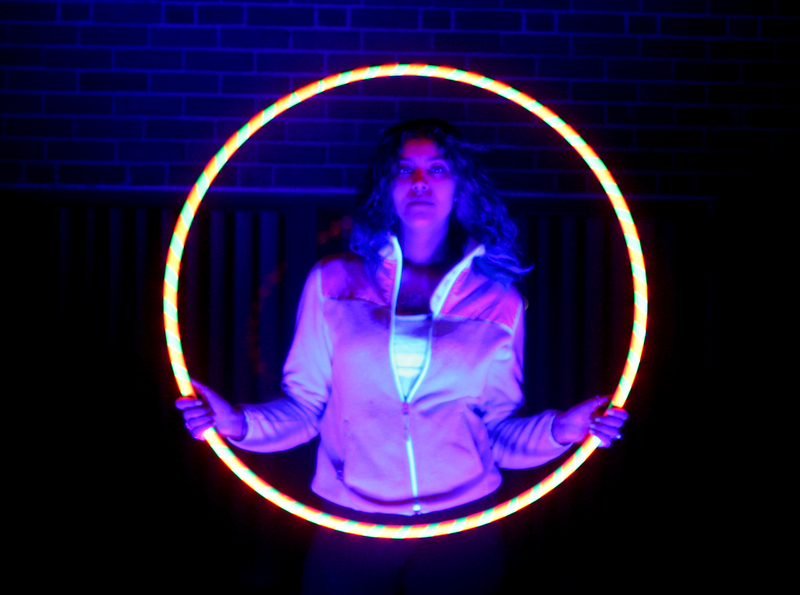 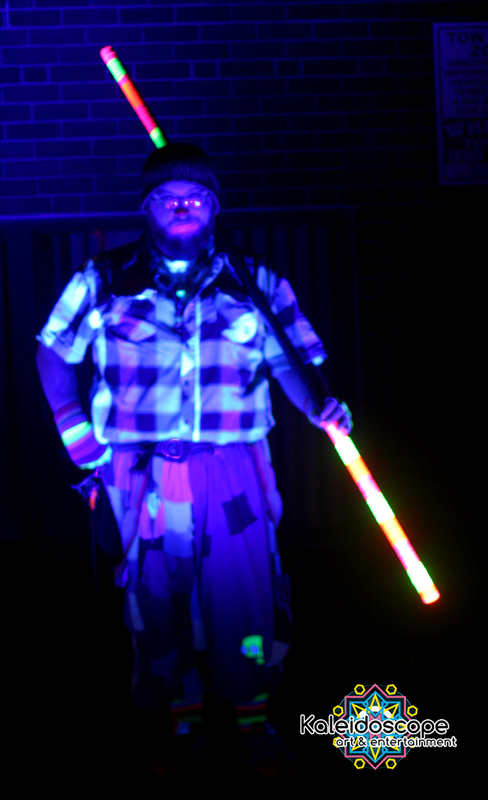 an LED performance is 15 minutes combination of hoops and poi. 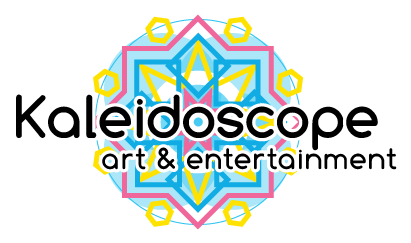 This show can be hosted both indoors and outdoors with enough clear space for the artist to move around easily. 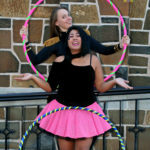 All our performers are super talented and have performance arts degrees/experience. 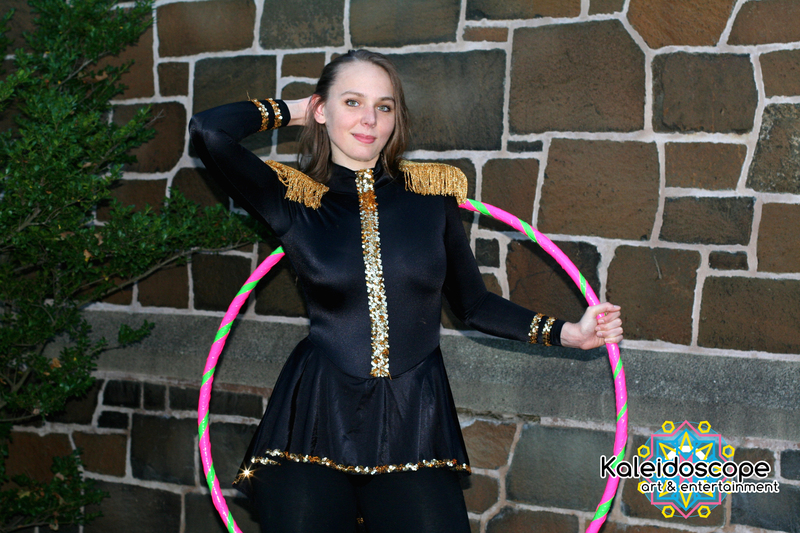 Performance costumes are simple and professional as well as fire retardant for the safety of our performers.